In his spare time, Matthew Welsh is an avid motorcycle rider, racer, and two-wheeled enthusiast. So it is no surprise that as our photographer, he also captures people in the moment on two wheels. After publishing a series of photographs in Iron & Air magazine, we were approached by French helmet makers, Les Ateliers Ruby. 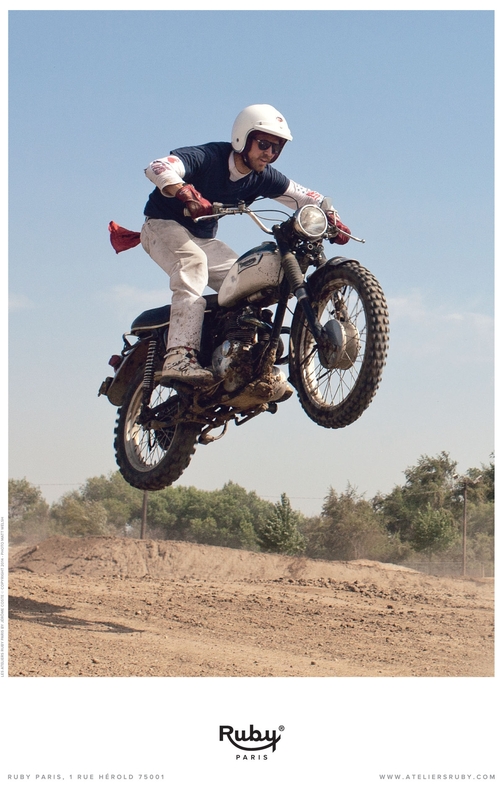 Ruby commissioned one of those shots for their newest ad campaign in the UK that season of rider and world renown photographer, Dimitri Coste, jumping a late 60’s Triumph Trophy. We couldn’t of been happier on how the advert turned out!